I have never seen a whale, “Killer” or otherwise. I have never been gleefully splashed by Shamu, or marveled at the great eye of an Orca as it swam slowly and without purpose past me behind towards finger and nose-stained glass at the aquarium. I have never, despite my love of the ocean, the Caribbean, and animals, swam with dolphins and been given the cheap sense of self-importance as they were forced to perform inane tricks for me– like waving and jumping over my head — thinking that I somehow made them do this, that I was in control, and that they were doing this for me because they liked me and wanted to make me happy. The reason for this is that I had a very forward-thinking mother who knew, inherently, that animal exploitation was wrong. We never went to the zoo, the circus, or SeaWorld. When we went to Disneyworld when I was about seven, she refused to patronize the Wild Animal Park, telling me that those animals belonged in their natural habitats, not in pens being gawked at my fat, ugly tourists slurping ice cream and holding stuffed Shamu dolls. Animal exploitation is just something that I know is wrong, as intrinsically as knowing that it’s wrong to push an old lady over in the street. It’s just something you just don’t participate in, and something that you try to stop every chance you get. I promised that if I ever saw a whale, it would be in the wild. Since I get violently seasick, I’ve never been on a whale watching trip, and I’ve never been lucky enough to see whale migration from the shore. But that’s the price I pay for waiting to do it the right way. I love to swim. Words can’t describe how much I love the ocean. When I was five, I wanted to be a marine biologist. When I was seven, I wanted to be The Little Mermaid. I used to tell my mom that if I could sleep underwater, I would. As someone who loves to swim, I can’t imagine being confined to a tank and never being able to pick up speed and move gracefully through the sea. You were used to swimming over one hundred miles a day in open water up to 200 feet in depth. You stayed with your mom for your entire life, and your offspring never left your side. You feasted on a smorgasbord of seals, walruses, birds, fish, sharks, and squid. You communicated with your family members in a language that is as unique as a snowflake. Forced to live mostly alone in a pool that is chlorinated and equal in size for a human of a few small rooms. Never given any mental stimulation other than performing for humans and being rewarded with cold, dead fish. 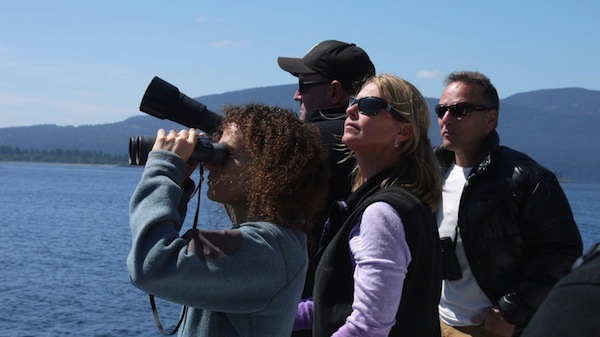 Gabriela Cowperthwaite’s striking documentary, Blackfish, addresses these very concerns. 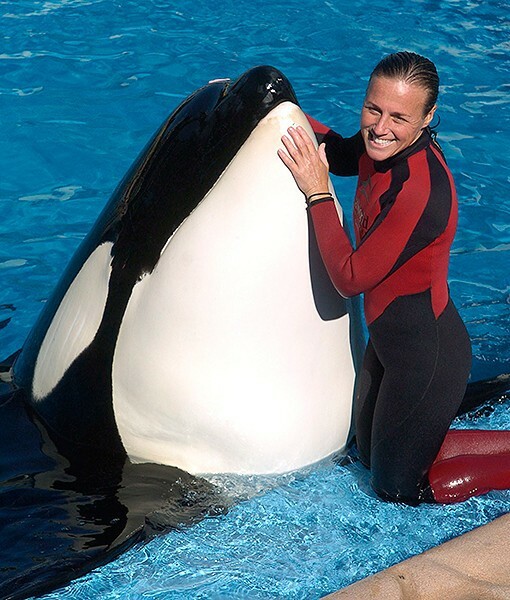 The public was outraged and saddened by the death of SeaWorld trainer Dawn Brancheau, who was essentially torn apart by the Orca Tilikum in 2010. Branchaeu was a skilled trainer and a kind, beautiful woman. Her family, coworkers, and friends were shocked by this even, wondering why and how it happened. 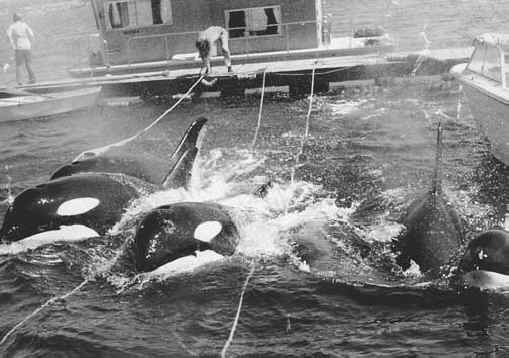 The documentary is structured in such a way that Branchaeu’s death acts as bookends to the story — we learn of the event at the beginning of the film, and by the time we reach the film’s conclusion, we know so much about what these Orcas endure in captivity that we are almost expecting the bough to break. In some ways, and I hope I’m not alone, we’re almost wondering why this doesn’t happen more often. In history classes, we learn of barn burning and slave uprisings, but we rarely hear about captive animals killing or injuring trainers or keepers, and if we do, the stories usually err on the side of total sympathy for the human involved. While I agree that all these events are sad, where is the sympathy for the animal? I think that largely, audiences watching Blackfish in horror this week on CNN feel mostly the same way. I am thrilled that CNN decided to broadcast the film, and even more happy to learn that statistics showed that young audiences were particularly outraged by this. 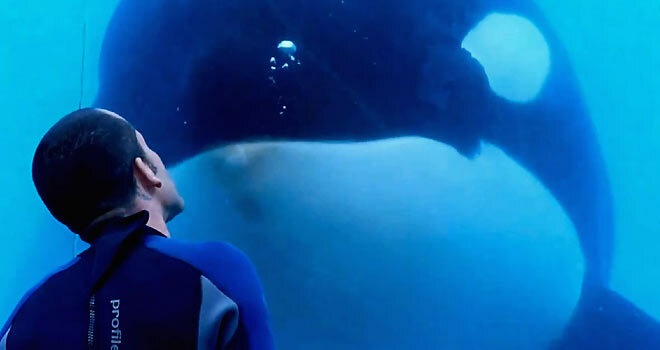 (Update: CNN reports that Blackfish was their highest rated film this year) I’m wondering if it has to do with the fact that my generation (you know, the silly and fanciful Generation Y) is the Disney generation — we grew up with the SeaWorld commercials and movies like Free Willy. We loved to see these majestic creatures, and cried along as we saw him finally released into the ocean while Michael Jackson’s song played in the background. We were moved, but likely had no idea of the terror going on behind the scenes. As I watched Blackfish and participated in the live tweet #Blackfish, I was so proud that people were disgusted by what they saw. 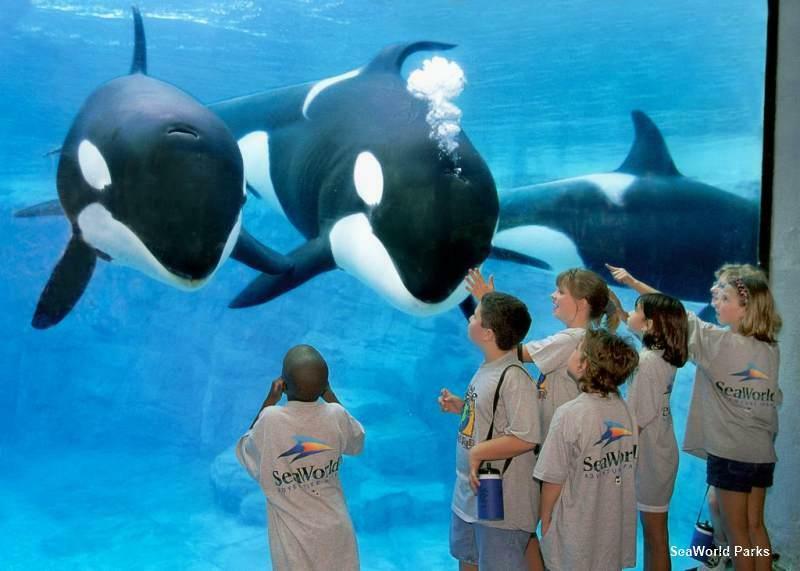 I had to laugh as SeaWorld and their affiliates attempted rebuttals, citing that they rehabilitate thousands of animals each year, and that Blackfish was filled with “lies.” For more of their comments, check out this article. I have to say that I have much respect for the former trainers for speaking out about the injustice that they witnessed during their time at SeaWorld. These people, at their core, love animals and want to do everything in their power to help give them a good life. The reason why many of them stayed as long as they did was that they felt, much like I would were I in their situation, that if they left, who would take care of their Orcas? I cried as grown men wept about how they felt locking the Orcas up at 5 pm each night, knowing that they would be alone until noon the next day. Most of the Orcas are put in small pens with whales they don’t know — something that would never occur in the wild. As a result, they fight and are often injured or even killed because they literally cannot escape. I almost vomited as I watched SeaWorld take an infant calf from its mother as its mother made terrifying and desperate cries – cries that the trainers had never heard her make before. After bring in a biologist to interpret the sounds she was making, it was discovered that she was making long-range cries, meaning that were she in the wild, she would be crying out as loudly as she could to have others help her find her baby. Watch that and tell me if it’s worth the price of the Shamu show at SeaWorld. Most Orcas in the wild live as long as we do — up to 100 years. In captivity? Maybe 30 years, tops. Employees would have you think that they live longer in captivity due to the veterinary care they receive. Lies, all lies. Veterinary intervention is usually needed because of things like whales fighting, whales eating the sides of their pens out of boredom or stress. Some needed dental care because they actually wore away their teeth after gnawing on their concrete enclosures. You know when you visit an animal shelter and see high energy dogs that are so pent-up that they do things like run in circles, bite their tails, vertically jump, or bark incessantly? Thanks to animal rights organizations, more shelter dogs are now being fostered and given mental stimulation like long walks and basic training. What release do the whales receive? You can’t take an Orca out on a walk. Most Orcas that you see have been in captivity for over 30 years. The basic rule is this: when you go against mother nature, you always lose. After being emotionally ripped apart for almost two hours, I was pleasantly surprised that Cowperthwaite chose to end the film by documenting four former SeaWorld trainers seeing Orcas in the wild. It brought tears to their eyes as they got to witness the animals that they had seen so long in captivity in the wild, the way they should be. 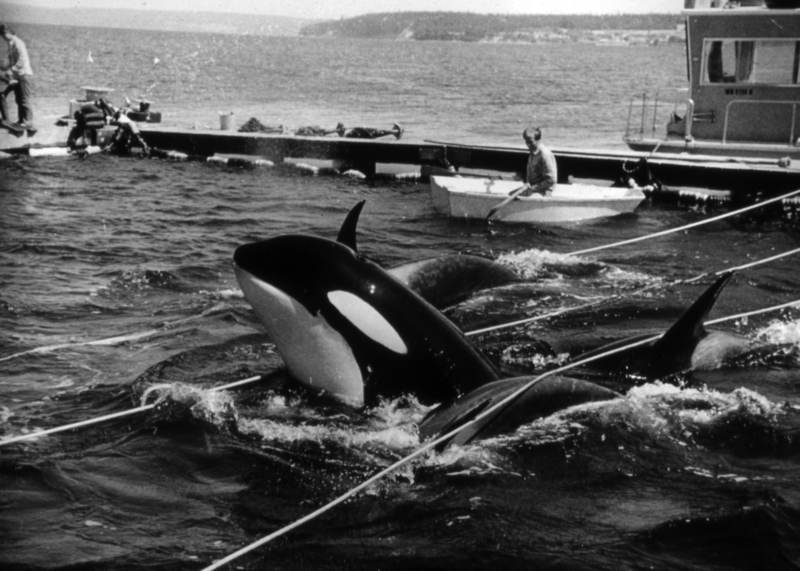 It was a small retribution for the horrors that they witnessed during their careers, and it certainly left Blackfish‘s audience with the impetus to change the status quo. First, never go to SeaWorld. Don’t go to Atlantis. Don’t go to any all-inclusive resorts that support captive dolphins for entertainment. Ever. Tell your friends, your family, your coworkers. I know that SeaWorld would have you think that if released, Orcas raised in captivity would never be able to survive on their own. And this is true. Orcas who are fed and who never learn how to hunt cannot survive if they are simply dumped into the middle of the ocean. However, SeaWorld can do a whole lot better in terms of rehabilitating these whales and doing true enrichment with them — open water tanks instead of chlorinated pools, exposure to fish, sea lions, and other wildlife instead of being surrounded by glass and tourists. If they really had these animals’ best interest in mind, they could do much, much more. See this movie. Run. Download it, rent it, borrow it. Everyone needs to see this, even kids. 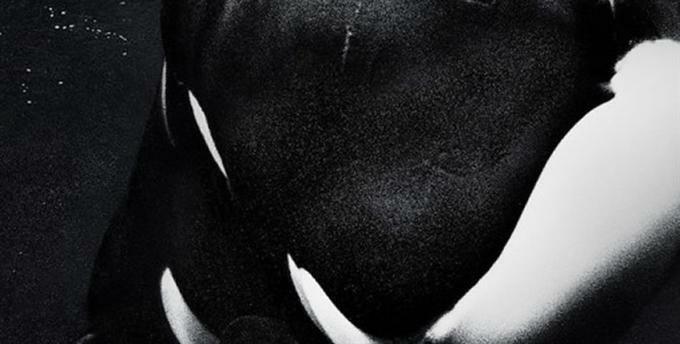 To learn more about the Blackfish documentary, visit their official site here. Visit the Orca Network, to learn about current captive Orcas. If you’d like to show your support on your blog, visit Keep Whales Wild. Let’s make sure that the next generation doesn’t grow up thinking that this is the way we treat our fellow mammals. They do not belong to us. We have enough entertainment as it is without using animal exploitation. If you want to laugh – go to Walmart and look at the people there. It’s cheaper, and it’s highly more entertaining, I can promise you that. This movie is the unveiling of the man behind the curtain. With the use of social media and groups like the ​Sea Shepherd Conservation Society, also called “The Cove Guardians” and ​Ric O’Barry’s Dolphin Project, who tweet live videos and pictures of the Taiji dolphin capture and slaughter in Japan, I think that this subject is finally, finally, becoming part of the mainstream. Thanks for this powerful and emotional post. I saw the film at the Sarasota Film Festival back in April. This film opened the festival and the house was filled. Not one empty seat. I also did a follow up piece when the film opened on July 19th (limited) and then into wider distribution after that. The whole point was the pushback launch by Sea World. Like you – I’ve never been to a sea world facility. Thank you so much. I really enjoyed your first review, it captured the chronology of the film so well and went into detail about each trainer. It’s funny that that whale hunter – big, burly tattooed guy that he was – was in tears, so long after the fact, about his capturing that baby Orca. That in and of itself should show you know wrong it is. It’s just something that people know in their gut is wrong. I thought it was so cowardly of SeaWorld to refuse to comment on this. They should really take this opportunity to set the record straight about what they do and if they have plans to change. Remaining silent, to me, means that they plan on changing nothing, which is absolutely criminal.